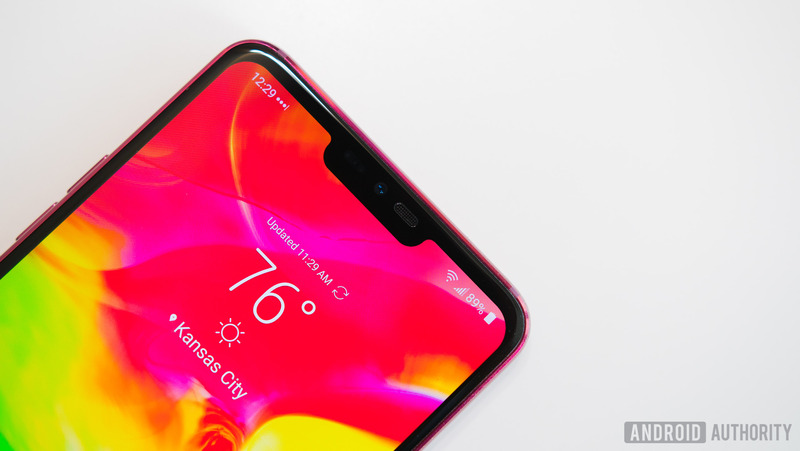 LG announced that its upcoming LG G8 ThinQ will have a secondary front-facing time-of-flight (ToF) sensor alongside the main front-facing camera sensor. According to LG, the G8 ThinQ’s ToF sensor works better in ambient light than other 3D technologies. As a result, the sensor puts less strain on the processor and battery. LG also mentions that the ToF sensor captures infrared light that’s reflected off you and is not affected by external light. That’s especially helpful when it comes to face recognition, as well as augmented reality (AR) and virtual reality (VR) applications. LG didn’t outright confirm that the G8 ThinQ features 3D face recognition, but it sure sounds like it does. On a related note, the company confirmed that the Infineon-developed ToF technology will make its way to other mid-range and high-end devices as well. This isn’t the first time we’ve seen a ToF sensor on a smartphone — the Honor View 20 puts the sensor next to the primary rear camera. The Honor View 20 uses its ToF sensor to map 3D objects in the real world, add body beautification effects in pictures and videos, and more. We’ll learn much more about the G8 ThinQ and its ToF sensor during the upcoming Mobile World Congress event, where LG is expected to announce the phone. According to rumors, the G8 ThinQ reportedly features the Qualcomm Snapdragon 855 processor, two rear cameras, and touchless gesture controls.